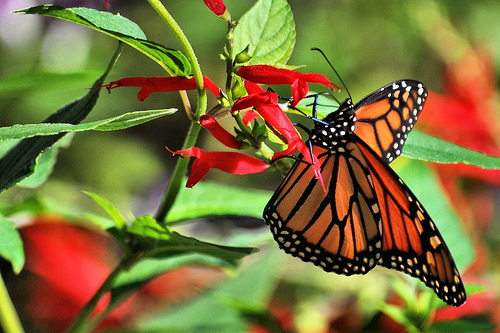 If you are planning to visit your favorite Hot Springs, Arkansas bed and breakfast on April 20th, you should consider spending the day at Garvan Woodland Gardens for a series of events including Garden Yoga, Painting with Plants and the Tulip Extravaganza plus Azaleas and Butterflies! Garvan Woodland Gardens at the University of Arkansas in Hot Springs National Park offers a tranquil setting to enjoy the blooms of spring and learn about nature. The gardens were purchased in the 1920s by Verna Cook Garvan. In 1956, Ms. Garvan began planting the gardens and nearly a half century later Garvan Woodland Gardens was on its way to becoming one of the premier botanical gardens of the south! 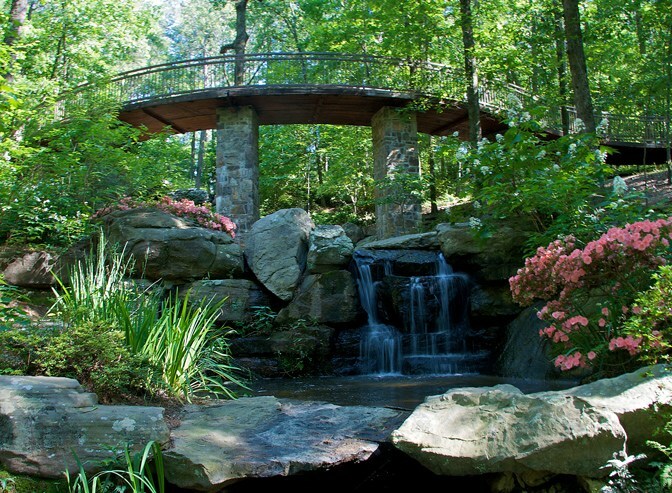 Upon her death, the Garvan Woodland Gardens were donated to the University of Arkansas. 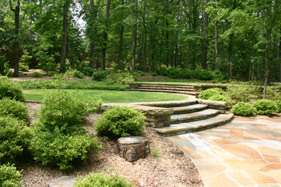 Part two of a three part series of Garden Yoga with Alan Vandenbergh will be held on Saturday, April 20th in the Klipsch Amphitheater at Garvan Woodland Gardens. Garden Yoga, part two will focus on the fundamental nature of yoga and discuss how it can be useful in all areas of your life including work, school, and home, on the golf course and in the garden. Alan Vandenbergh is a yoga master with Yoga Alliance in Hot Springs and offers instruction at several yoga studios in the city. The session will begin at 10am until 11:30am and are appropriate for ages 13 and up. The cost is $15 per person. Have you ever participated in Garden Yoga? Share your stories with us at Facebook! This delightful children's series that is held in the Sugg Model Train Garden, teaches plant texture and how plants survive the elements. Garvan Woodland Gardens' director Megan Bradshaw will be the instructor for the morning. Painting with Plants is appropriate for children ages 6 through 12 and children must be accompanied by an adult. The sessions begin at 9am until 11am. The cost is $10 per child for members of Garvan Woodland Gardens and $12 per child for non members. 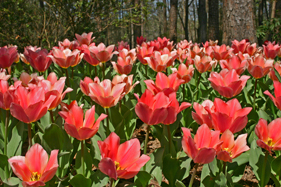 Throughout the month of April, the Tulip Extravaganza plus Azaleas and Butterflies presents more than 100,000 tulips and more than 80,000 other bulbs including hyacinths, irises and daffodils. Add to the array of color violet, red, white and pink azaleas, dogwoods and other blooming creations and you have a beautiful and fragrant way to spend a spring morning! 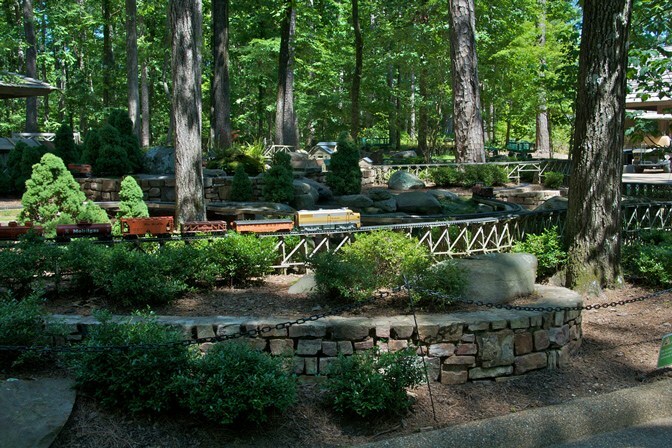 Garvan Woodland Gardens is open Monday through Sunday from 9am to 6pm. Admission is $10 for adults and $5 for children ages 6 - 12. Seniors $9 and children 5 and under Free.